Home » What Milk Can Cats Drink? Should They Have It At All? Rarely is it questioned that cats and milk go together like peanut butter and jelly; however, this seemingly seamless pairing is more akin to peanut butter and pickles. Endlessly the notion of a kitten bent over a saucer of milk adorns a calendar, occupies an advertisement. But do we question if that picturesque kitten really ought to be drinking milk? Why do cats love milk? Cats love milk and dairy products primarily due to the higher fat and protein content contained therein. Milk is their primary nutrition source as young kittens, for about eight to ten weeks. But this is a wholly different prospect from allowing them typical “milk” as consumed by humans. Whether it be cow, goat, soy, or almond milk. While you may enjoy any of these and experience no ill after effects, chances are your feline friend may not feel the same. As kittens, their body produces lactase, the enzyme required to digest the milk sugar known as lactose. In this early stage the mother’s milk is necessary for the kitten’s development, providing not only the fats, protein and calories they need to grow. But also maternal antibodies to protect for illness, and other nutrients such as taurine, that are necessary for healthy growth. As they grow older and wean from their mother’s milk, their body no longer produces lactase, unlike most humans. This therefore means that although they have a keen interest the milk you forgot to put away before work, they still cannot properly digest it. 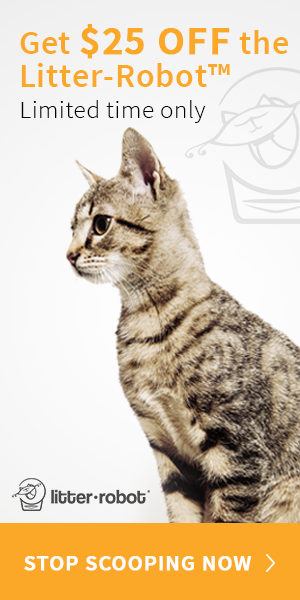 Because cats no longer produce lactase after weaning, this means that it is no digested along with other nutrients. Instead of simply passing through their bodies after absorption of nutrients, it is left in their stomachs and digestive tracts where it sits to sour and ferment. This is what produces diarrhea, indigestion, and the other symptoms often also found in people with lactose intolerance. More often than not, this actually leads to loss of other nutrients, and may be especially dehydrating. In addition, the fat, calorie, and sugar content of dairy isn’t easily justified for a kitten, let alone an adult cat. Experts do recommend that if you absolutely must give your cat dairy milk as a treat, that you give very little at a time, and resort to raw cow or goat milk rather than the pasteurized versions that we tolerate more easily. This question becomes yet more complicated as we work to please our purring friends. The very short answer is yes; there are alternatives. But there are drawbacks to consider for each available, and you really must consider your purpose behind giving any of them to your cat, and weigh the benefits and issues with all options. 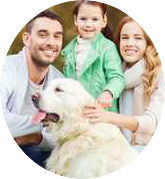 anywhere from supermarkets, to pet supply stores, to your vet’s office. If you have a very young kitten, still of nursing age, and the mother cannot or will not nurse, or is absent, this is likely the best option. Specifically formulated to provide as many of the essential nutrients of mother’s milk as possible, they certainly contain the most fortified formula, if a growing kitten is your concern. While this option does contain less fat, it also contains compounds of phytoestrogens found in soy. This, in addition to flavoring and sugars added to make it more palatable for humans, lends no favors to your feline, although it may be more easily digested than lactose. Another popular option however, it is like soy products in that there is commonly added sugars and flavoring, and contains a higher level of caloric content than is truly necessary. It is also speculated that the higher sugar and calorie levels may cause more long term damage to your feline’s system. This may lead to issues such as hyperglycemia and hypothyroidism. Both of which are as damaging in cats as they are in humans. While almond milk does in fact, have a higher protein content, and lower caloric value, it still provides nothing necessary to a feline diet. As carnivores, cats rely on meat products to meet their nutritional demands. Almond milk still has the issue of added sugars, flavors, and preservatives, however the protein content is more justified as an addition to their diet. Cats all need a well balanced diet that considers their age, activity, and individual sensitivities and needs. Most of a cat’s nutrition will come from their daily food. A high protein, nutrient rich food gives a cat most of what they need to sustain them; and there is no short supply of supplements to make up the difference of anything they lack. Cats and kittens enjoy getting treats about as much as owners love giving them. While there are store bought options, some owners prefer to give something they already have at home, and know their cat entirely enjoys. Of course, as it comes to mind the most common is typically milk, and cats do thoroughly enjoy their dairy. As an owner, it is your responsibility to be accountable and attentive to your cat’s needs. You need to ensure that the treats and snacks they are given are moderated and not causing health issues. Not all cats are entirely lactose intolerant. Some cats have little issue with dairy milk, soy milk, almond milk, or any of the substitutes listed above. It is important that even if your cat does tolerate this options, they are given in very small amounts. Most experts recommend not more than a spoonful at a time. And used as treats, and most importantly, in moderation. You should always ask your veterinarian when you have questions about your cat’s specific needs and possible sensitivities.